(SAVANNAH, GA) The Savannah Mall will celebrate the circus October 11-13 in the Center Court with an impressive display of miniature circus models created by artisans from Circus Model Builders International. The event is free and open to the public. Organized in 1936, Circus Model Builders International has more than 750 members in the United States, Canada and several other countries. The organization’s mission is to preserve the history and the memories of the circus by building and displaying circus models. The Savannah Mall display will feature more than a dozen tables with works by members from around the East, including South Carolina and Coastal Georgia. The intricate models are all made by hand, with each piece taking several weeks to complete. Among the handmade miniature circus models on display will be a 1950 Ringling Brothers menagerie with replicas of wagons, circus animals and more. (AUGUSTA, GA) Garden City Jazz presents Jazz on Pine, a four-week celebration of local music and art, taking place in the pocket park at Heritage Pine, the flagship development of Laney Walker/Bethlehem. Join us for free concerts 6:00 pm Saturdays, October 12: Doc Easton Smooth Jazz; October 19: Jerusalem Sounds, October 26: Joe Collier & Friends, November 2: Tim Sanders & UNITY. (AUGUSTA, GA) The School of Professional Studies at Paine College is holding its First Annual Transformative and Innovative Leadership Conference on Thursday, October 10, 2013. The theme for this conference is “Leading in the 21st Century.” The focus for this conference will be to provide cutting edge knowledge from recent scholarly research and practices that will prepare participants to be better ethical leaders in the 21st century and improve organizational processes. (AUGUSTA, GA) The Morris Museum of Art will hold a workshop entitled “Mommy and Me: Creative Collage” on Thursday October 3 from 10 – 11 AM. Learn about different types of art and create a collage inspired by the work of Robert Motherwell. (AUGUSTA, GA) Tuesdays at the Wallace branch of the East Georgia Regional Library (located on Laney Walker Boulevard) tend to be filled with community events. Tuesday, Oct. 8th is no exception, with programs ranging from community health to computer literacy. (AUGUSTA, GA) The City of Augusta will hold its first-ever TED talks on January 30, 2014, with will take place at the Augusta Library on Telfair Street. For more information: tedxtelfairstreet.com. Oct 2	Waycross Job Fair at Waycross Job Connection	10 a.m. to 2 p.m.
Oct 9 Savannah Job Fair at Savannah Civic Center	9 a.m. to 3 p.m.
Oct 9	Brunswick Job Fair at Brunswick Job Connection	10 a.m. to 2 p.m.
Oct 9	Rincon Job Fair at Rincon Job Connection	10 a.m. to 2 p.m.
Oct 22	Richmond Hill Job Fair at Richmond Hill Job Connection	10 a.m. to 2 p.m. Employers will share information about their organizations and offer employment opportunities to qualified job seekers. For more information, visit goodwillsavannah.org/jobconnection or contact Ailerua Crawford at 912-354-6611 or acrawford@goodwillsavannah.org. (SAVANNAH, GA) Paula and Jamie Deen Named Grand Marshals of 8th Annual Buddy Walk on Oct 5 http://www.youtube.com/watch?v=gVBOc6xWpFE&feature=youtu.be The eighth annual fundraiser benefits the Lowcountry Down Syndrome Society (LDSS). Registration is $12 per person or $40 for a family of four. For more information, contact John or Candy Bogardus at 912-728-8505. (SAVANNAH, GA) The Savannah Mall will celebrate the circus October 11-13 in the Center Court with an impressive display of miniature circus models created by artisans from Circus Model Builders International. The event is free and open to the public. For more information about the Savannah Mall, please visit www.savannahmall.com or call 912-927-7467. (SAVANNAH, GA) Savannah to celebrate Opera America’s National Opera Week beginning with a Sunday Soiree on October 27 from 5 – 6:30 pm at the Westin Savannah Harbor Ballroom. Tickets are $25/person. A special gala event on October 29 presenting the first annual Sherrill Milnes VOICE Award to soprano Diana Soviero. Tickets cost $125 per person or $225 per couple which includes dinner, drinks and the concert. For more info: info@savannahvoicefestival.org, call 855-76-OPERA, or visit savannahvoicefestival.org. (BLUFFTON, S.C.) Celia Dunn Sotheby’s International Realty is expanding its Bluffton office, adding more sales representatives and increasing services for Bluffton, Hilton Head Island and the Lowcountry. Celia Dunn Sotheby’s International Realty will be holding a ceremony celebrating the expansion of the Bluffton office on October 10 at 11 am. Mayor Lisa Sulka will be attending. Celia Dunn Sotheby’s International Realty specializes in residential and commercial properties in Savannah and the Low Country of Georgia and South Carolina. (SAVANNAH, GA) The Lowcountry Down Syndrome Society (LDSS) is selling calendars for 2014. They feature images of local children as well as recipes from Savannah’s own Jamie Deen. The calendars cost $12. They will be unveiled at the walk and on sale there. Proceeds will benefit LDSS. The LDSS is a support group to benefit people with Down Syndrome and their families through local leadership in support, outreach, education and advocacy. Meetings are held every 4th Tuesday of the month, typically with a guest speaker and social time for families to meet and interact with one another. The LDSS is an affiliate of the National Down Syndrome Society. For more information, contact John or Candy Bogardus at 912-728-8505 or visit ldssga.org. (SAVANNAH, GA) The 10th annual Veterans Stand Down for Homelessness Resource and Job Fair will be held on October 8 and 9 at the Savannah Civic Center from 8 am – 2 pm. The Stand Down is a collaborative effort by area veterans organizations and local nonprofits to reach veterans and others facing homelessness. Over 40 social service agencies will provide information on services including housing options, job resources, resume writing tips, substance abuse treatment, income tax assistance, and access to Social Security and Veterans Administration services. This event is funded in part by Goodwill Industries of the Coastal Empire, Inc. Operation Open Doors, The United States Department of Veterans Affairs, The Chatham-Savannah Authority for the Homeless, and The Salvation Army. For more info, contact the Chatham-Savannah Authority for the Homeless at homelessauthority.org or contact Janice Sheffield at 912-790-3400. (SAVANNAH, GA) Park Place Outreach – Youth Emergency Shelter recently received a $3,000 grant from Macy’s. It was the second year in a row the department store chain granted funds to the Savannah-based emergency shelter. The grant money will enable Park Place Outreach to continue its mission of providing shelter and services to homeless, abused and runaway youth. Park Place Outreach – Youth Emergency Shelter For more information, please call 912-234-4048, visit http://parkplaceyes.org or search for "Park Place Outreach" on Facebook. (SAVANNAH, GA) Nominations for Savannah’s Rising Stars of Business – Generation NEXT will be accepted through October 22. Generation NEXT recognizes the most promising "Under 40" professionals in the community. Nominees should be focused on philanthropy, community service and progress for our area, as well as on generating business success and growth. businessinsavannah.com/generationnext and savannahmagazine.com/generationnext. Winners will be recognized in the January 15 issue of Business in Savannah and in the January/February, 2014 issue of Savannah Magazine. (SAVANNAH, GA) The Lowcountry Down Syndrome Society (LDSS) is selling calendars for 2014. They feature images of local children as well as recipes from Savannah’s own Jamie Deen. The calendars cost $12. They will be unveiled at the walk and on sale there. Proceeds will benefit LDSS. For more information, contact John or Candy Bogardus at (912) 728-8505 or visit www.ldssga.org . About the Lowcountry Down Syndrome Society: The Lowcountry Down Syndrome Society (LDSS) is a support group to benefit people with Down Syndrome and their families through local leadership in support, outreach, education and advocacy. Meetings are held every 4th Tuesday of the month, typically with a guest speaker and social time for families to meet and interact with one another. The LDSS is an affiliate of the National Down Syndrome Society. For more information, visit www.ldssga.org . As a leader in job preparation, training, and placement services throughout the Coastal Empire, Goodwill will host job fairs throughout the region during the month of October. Employers will be in attendance sharing information about their organizations and offering employment opportunities to qualified job seekers. For more Job Fair information contact Ailerua Crawford at 912.354.6611 or acrawford@goodwillsavannah.org. Job Seekers can learn more about Goodwill Job Connection Centers and how Goodwill can help you find a job at www.goodwillsavannah.org/jobconnection . About Job Connection: The Goodwill Job Connection Centers provide various resources, technology and support services designed to help job seekers secure and maintain employment. Resources include job search skills, resume development, interviewing skills, use of phones, and office equipment. Health and wellness, financial literacy, and educational seminars are also available to assist individuals in improving their quality of life. Goodwill of the Coastal Empire, Inc. is dedicated to the mission of assisting people with disabilities and other barriers to employment to live independently and become employed. The not-for-profit organization employs nearly 600 employees throughout the area. In 2012, Goodwill provided services to 24,427 people and placed 1,406 people into employment through various programs offered throughout the region. Goodwill of the Coastal Empire serves 33 counties in Georgia and South Carolina, operating 15 retail locations and seven Job Connection Centers in the region. Goodwill accepts tax deductible donations of clothing, household items, computers, and car donations, as well as operates an online store at www.shopgoodwill.com . For more information on Goodwill of the Coastal Empire, please visit www.goodwillsavannah.org . Find us on Facebook: Savannah Goodwill or follow us on Twitter: @SavGoodwill . (BLUFFTON, S.C.) – Celia Dunn Sotheby’s International Realty is expanding its Bluffton office, adding more sales representatives and increasing services for Bluffton, Hilton Head Island and the Low Country. Celia Dunn Sotheby’s International Realty will be holding a ceremony celebrating the exciting new expansion of the Bluffton office October 10 at 11 a.m. Mayor Lisa Sulka will be attending. The office is located at 52 Calhoun St. in Bluffton, S.C.
Several experienced agents work in the South Carolina office: Judy Collins, Catherine Donaldson, Will Guscio, Catherine Harrison, Renee Meighan, Joe Pyne, and the team of Terri Dengler and Bill Rupp. In addition, several sales associates in the Savannah office also have South Carolina licenses. The Bluffton office has always been staffed by experienced sales associates, and the number of agents has almost doubled with the expansion of the Bluffton office. The Low Country has always had a special place in her heart. Sellers will benefit from the Sotheby’s affiliation, which brings a world of buyers through market-leading web sites and an unparalleled level of marketing. Listings are automatically fed to well over a dozen of the most highly trafficked real estate web sites. In addition, separate specialty web sites for golf lovers, waterfront, farms, and historic areas will help buyers worldwide discover the Low Country. Sotheby’s also offers many helpful features for buyers and sellers, such as a free mobile phone app that gives people the ability to see all Multi-List listings on their phone, as well as search by GPS, address, city, ZIP code, property type and more. Known for its tradition of integrity, Celia Dunn Sotheby’s International Realty specializes in residential and commercial properties in Savannah and the Low Country of Georgia and South Carolina. Founded in 1981, Celia Dunn Sotheby’s International Realty is noted for outstanding service to its clients, thorough knowledge of Savannah and the South Carolina Low Country, and excellent staff, in addition to having one of the region’s top property management departments. 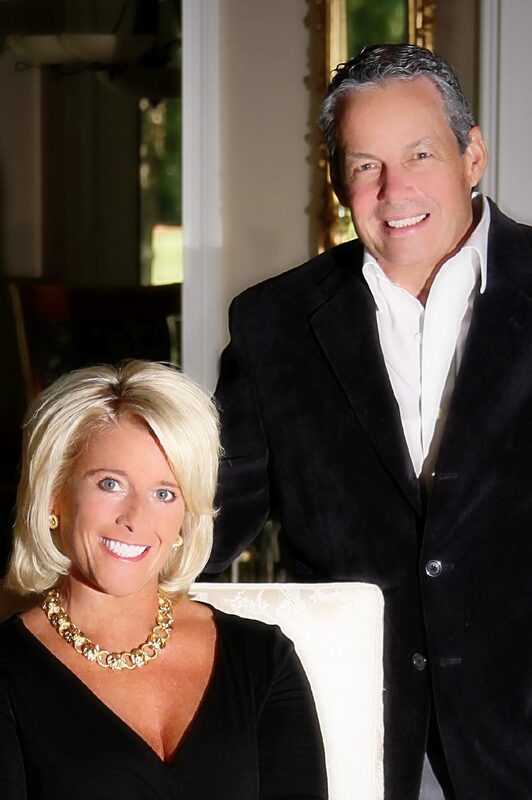 The owners are natives of Savannah who have more than 60 years’ combined experience in real estate. The offices are located at 9, 13, and 17 West Charlton Street on Madison Square in Savannah and 52 Calhoun St. in Bluffton, S.C.
Savannah’s own best-selling cookbook authors from The Lady and Sons, Paula Deen and Jamie Deen will serve as Grand Marshals of the 2013 Buddy Walk. The eighth annual event begins Saturday, October 5th at 10am in Forsyth Park in historic Downtown Savannah, Georgia. The mother-son tandem will lead participants in the one-mile fundraiser benefiting the Lowcountry Down Syndrome Society (LDSS). Thousands of people are expected to attend the event, which raises awareness and funds for local programs, including Camp Buddy, that benefit people with Down Syndrome and their families. Jamie Deen sits on the LDSS board and has also served as Buddy Walk Grand Marshal multiple times, as has Paula Deen in the past years. The Buddy Walk Program encourages participants of all ages and abilities. Carriages, strollers, wheelchairs, little red wagons and pets are all welcome. The goals are to promote acceptance and inclusion of people with Down Syndrome and to positively influence local and national policy and practice. Past Buddy Walk events have raised millions to benefit education, research, and advocacy initiatives nationally, as well as the Night of Champions, Camp Buddy and many other services here in the Lowcountry and Coastal Empire. The walk begins at 10am. A Family Fun Festival will be held immediately after. A wide range of activities including face painting, bouncy houses, games, music and refreshments will last until 2pm. The LDSS Buddy Walk is one of more than 300 Buddy Walks taking place across the country this October to celebrate Down Syndrome Awareness Month. Online registration is available at www.ldssga.org until Sunday, September 29th. Participants can also signup starting at 8:30am the day of the event. Registration is $12 per person or $40 for a family of four and includes a T-Shirt, lunch and admission to the festival. For more information, contact John or Candy Bogardus at (912) 728-8505 or visit www.ldssga.org. About the Lowcountry Down Syndrome Society: The Lowcountry Down Syndrome Society (LDSS) is a support group to benefit people with Down Syndrome and their families through local leadership in support, outreach, education and advocacy. Meetings are held every 4th Tuesday of the month, typically with a guest speaker and social time for families to meet and interact with one another. We encourage people to bring their children. We are an affiliate of the National Down Syndrome Society. For more information, visit www.ldssga.org . (SAVANNAH, GA) The tenth annual Veterans Stand Down for Homelessness Resource and Job Fair will be held on October 8 & 9, 2013 respectively at the Savannah Civic Center from 8:00 am until 2:00 PM. The Stand Down is a collaborative effort by area veteran’s organizations and local nonprofits to reach veterans and others in the Savannah area that are facing homelessness. Representatives from more than 40 Social Service agencies will be available to provide information and outreach on a variety of services including housing options, job resources, resume writing tips, substance abuse treatment, income tax assistance, and accesses to Social Security and Veteran’s Administration services. The Stand Down (a military term used during active war to state the soldier will “stand down” from the action to get a hot meal, haircut and clean clothing) was adapted by two Vietnam era veterans in 1988 that recognized veterans were highly represented in the homeless population. Participants will be offered a hot meal, haircuts, showers and opportunities for a variety of health screenings. The Stand Down is intended to serve homeless veterans but is open to all individuals and families impacted by homelessness. There is no cost to attend. Homeless veterans are more responsive to offers of help from other veterans as noted by the Chatham- Savannah Authority for the Homeless. This event is a collaboration by Savannah’s military and nonprofit communities to reach veterans in crisis and connect them with programs and services that will end their homelessness. Veteran’s programs include The Carl Vinson VA Medical Center of Dublin, GA; The Savannah VA Community Based Out-patient Clinic; The Savannah Vet Center, The American Legion Post 500 and Savannah Counseling Services, Inc.-Jail Diversion Trauma Recovery program. The Hunter Army Air Field Public Affairs Office will supply an Up Armored Humvee for inspection and a Military Brass Band and Color Guard for opening ceremonies. Refreshments will be served by the Hunter Army Air Field Spouses Club. Each year over 400 community volunteers assist with the Stand Down, including the Social Work department at Savannah State University that coordinates the distribution of clothes and personal items to veterans experiencing homelessness. Three hundred and ninety six (396) veterans experienced homelessness in Chatham County in 2012 according to statistics released by the Chatham-Savannah Authority for the Homeless. Traditionally, the Homeless Authority has seen veterans from the Vietnam era, however, more and more veterans from the Gulf and Afghanistan conflicts are presenting for various services. These men and women have served their country, and we want them to know that the Savannah community is here to help them when they return. The Stand Down is funded in part by Goodwill Industries of the Coastal Empire, Inc. Operation Open Doors, The United States Department of Veterans Affairs, The Chatham-Savannah Authority for the Homeless, and The Salvation Army.